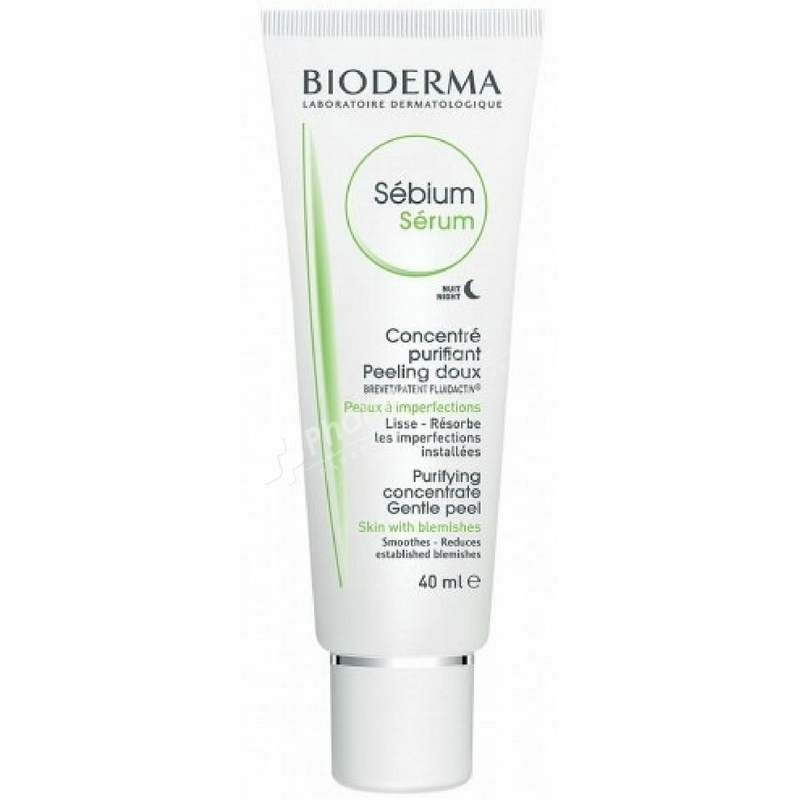 Sébium Sérum is the only keratolytic treatment that corrects established blemishes, smoothes and refines the skin texture through a gentle peeling effect and, thanks to the Fluidactiv™ exclusive patented complex, biologically regulates sebum quality, which keeps pores from becoming clogged and limits the formation of new blemishes. Apply Sébium Sérum on your face, after cleansing. Avoid the eye contour area and lips. AQUA/WATER/EAU, GLYCOLIC ACID, SODIUM HYDROXIDE, PANTHENOL, BIS-PEG-15 METHYL ETHER DIMETHICONE, DIPROPYLENE GLYCOL, MANNITOL, XYLITOL, RHAMNOSE, FRUCTOOLIGOSACCHARIDES, GINKGO BILOBA LEAF EXTRACT, DODECYL GALLATE, AMMONIUM ACRYLOYLDIMETHYLTAURATE/VP COPOLYMER, HYDROXYETHYLCELLULOSE, PROPYLENE GLYCOL, BIOSACCHARIDE GUM-1, PHENOXYETHANOL, FRAGRANCE (PARFUM).